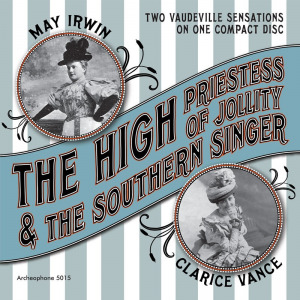 The High Priestess of Jollity & The Southern Singer brings together the complete recorded output of two early stars of the vaudeville stage: Clarice Vance and May Irwin. Though prominent on stage—and sheet music covers—both had very short recording careers, with Irwin's output totalling 6 sides and Vance's 15. This set presents these 21 recordings for the first time and tells the story of these two remarkable women. The package includes a 32-page, full-color booklet with biographical essays on each of women and a bounty of photographs and lush illustrations. 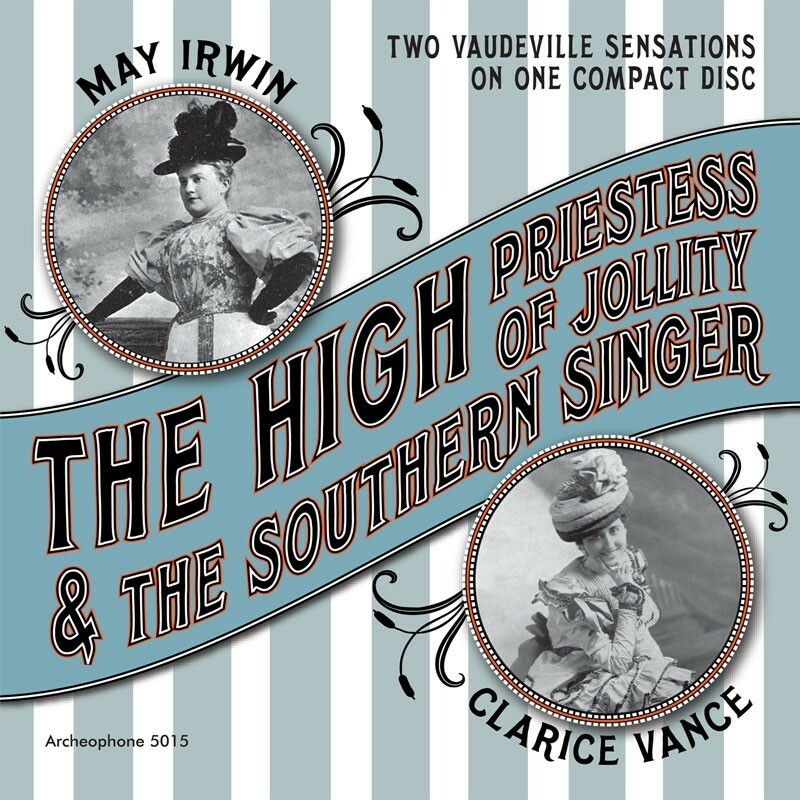 Visit The High Priestess of Jollity & The Southern Singer's expanded catalogue page to see the complete track listing, read an extended description, and listen to sound samples.